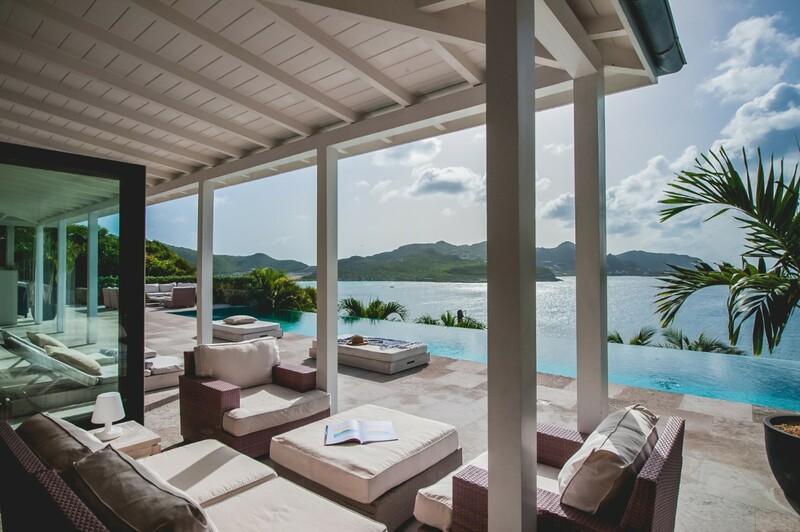 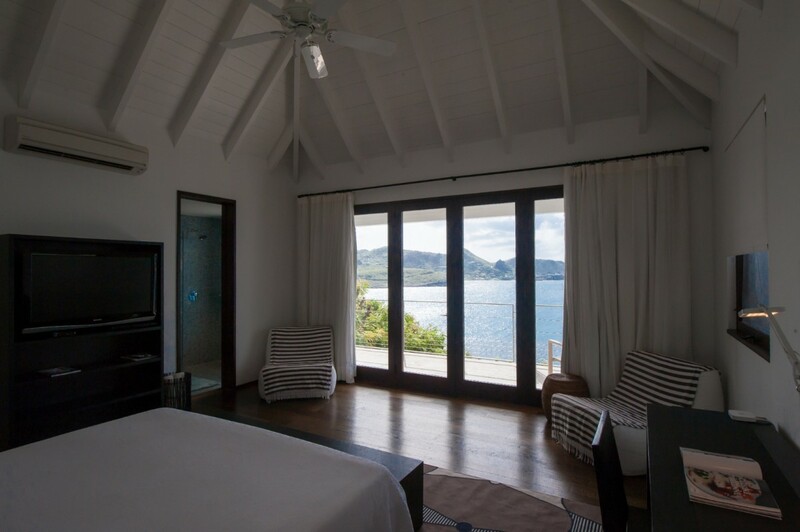 Villa Ella St Barts. 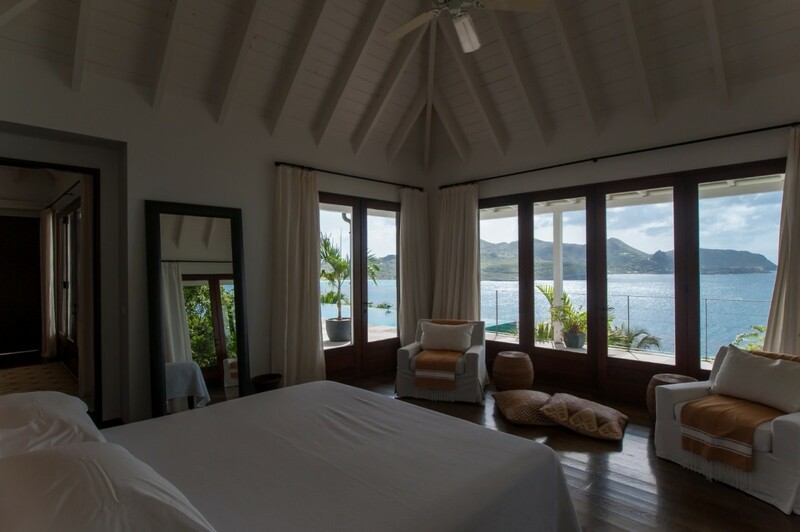 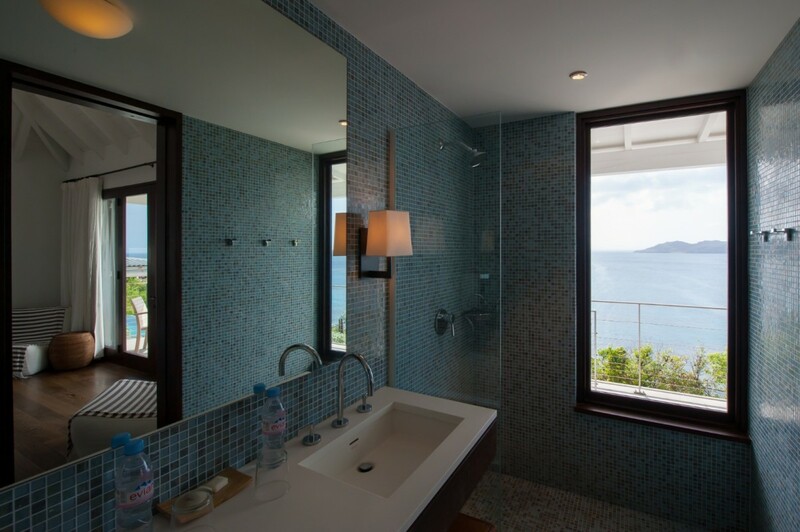 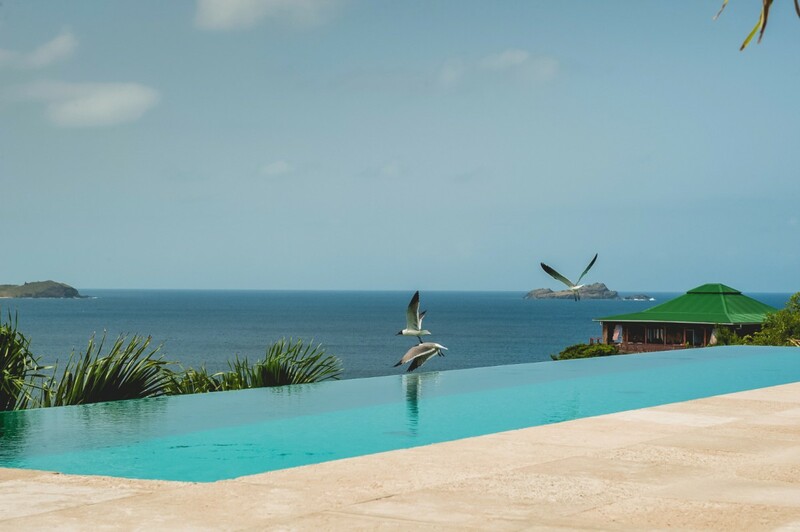 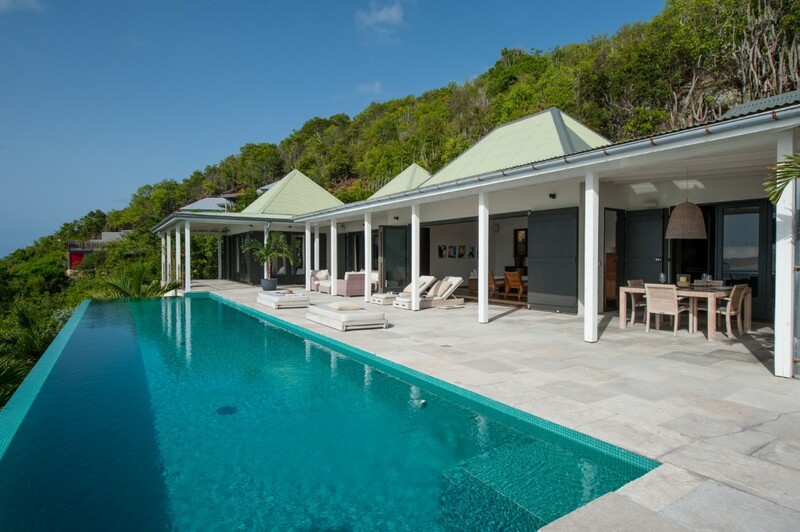 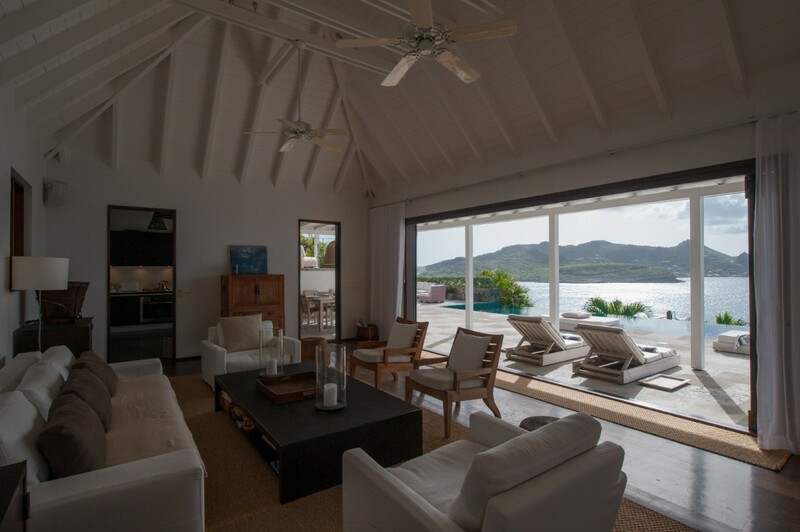 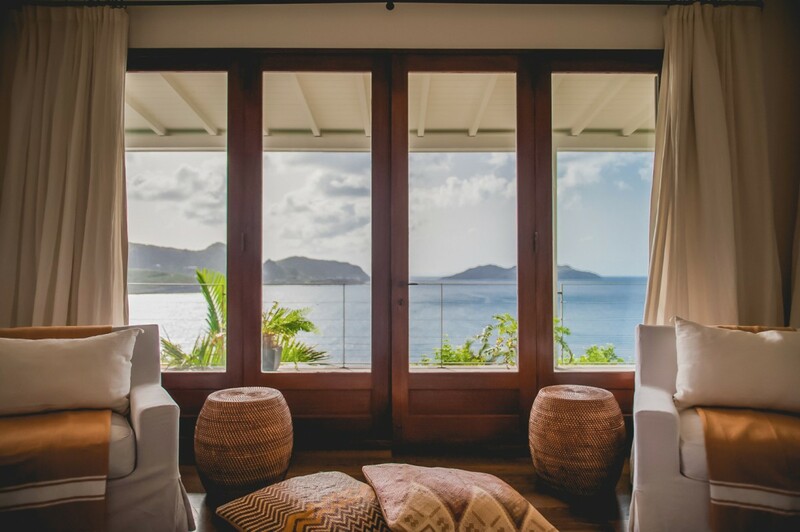 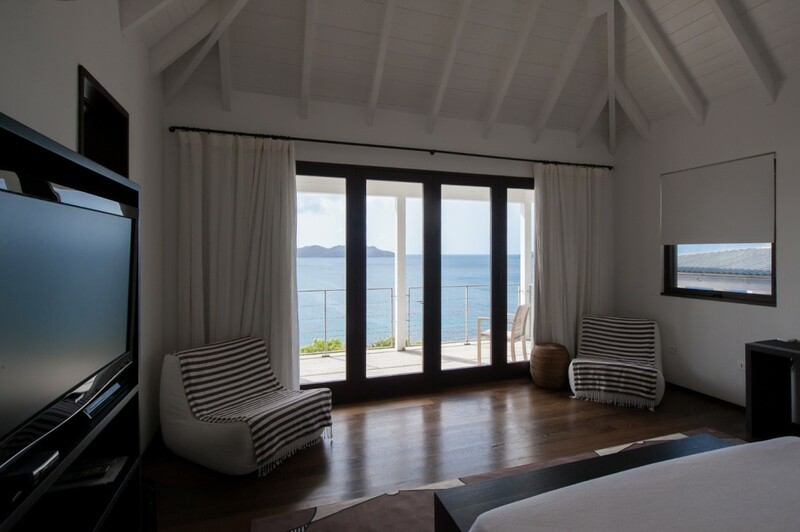 Set high above St. Jean on the island of St. Barts is the gorgeous Villa Ella. 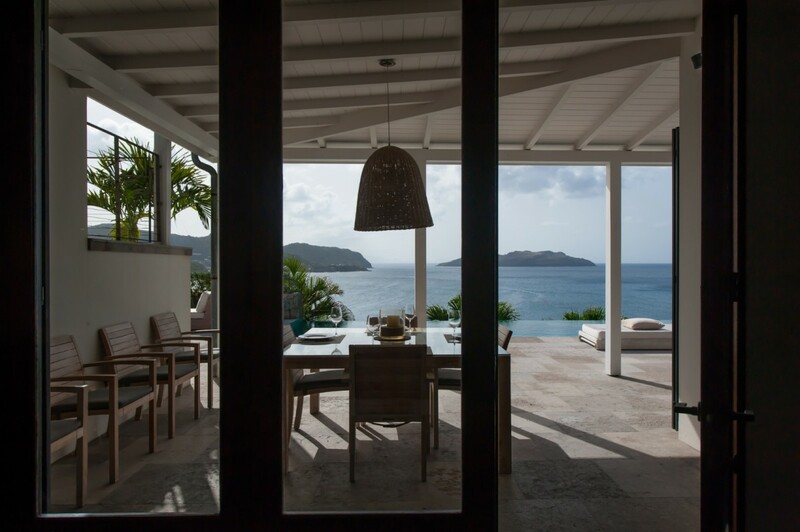 It has a truly unmatched perspective that gazes out over the waters and to the islands in the distance. 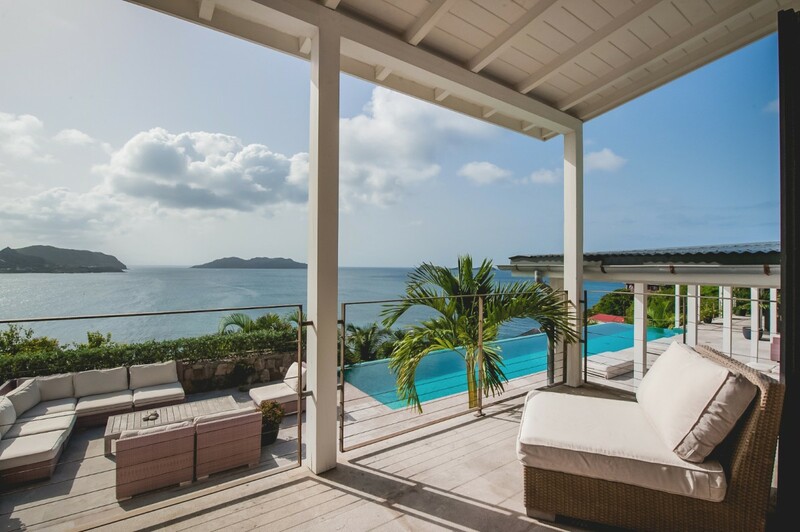 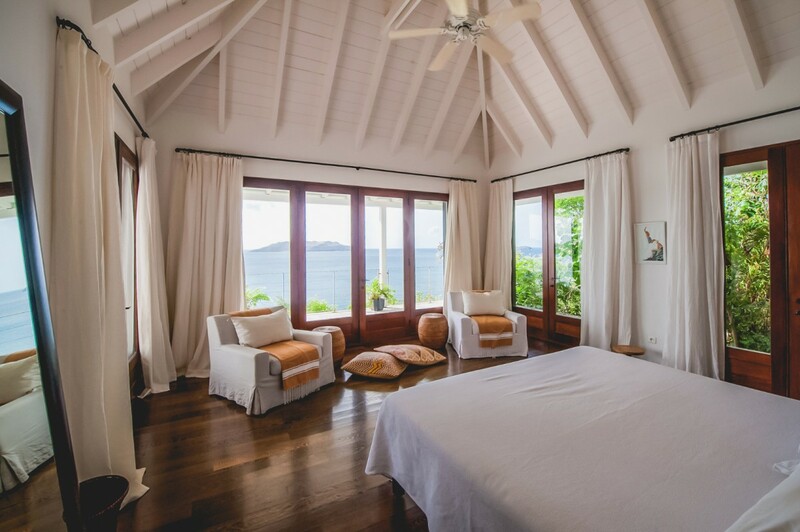 Surrounded by lush growth, it creates an instant sense of privacy and relaxation, and yet it is the amenities in this lovely Caribbean getaway that make it such a rare find. 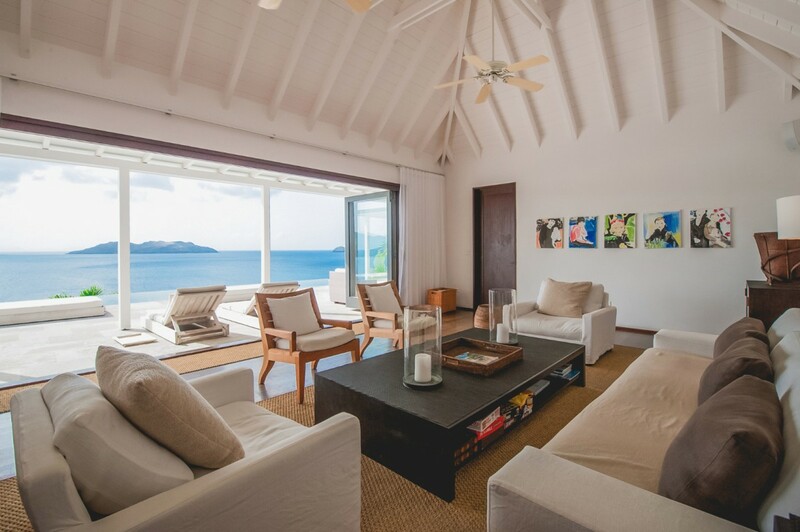 Standing on the terrace that overlooks the sea below, you can enjoy the use of the enormous banquet sofa that is a perfect lounge or casual dining spot. 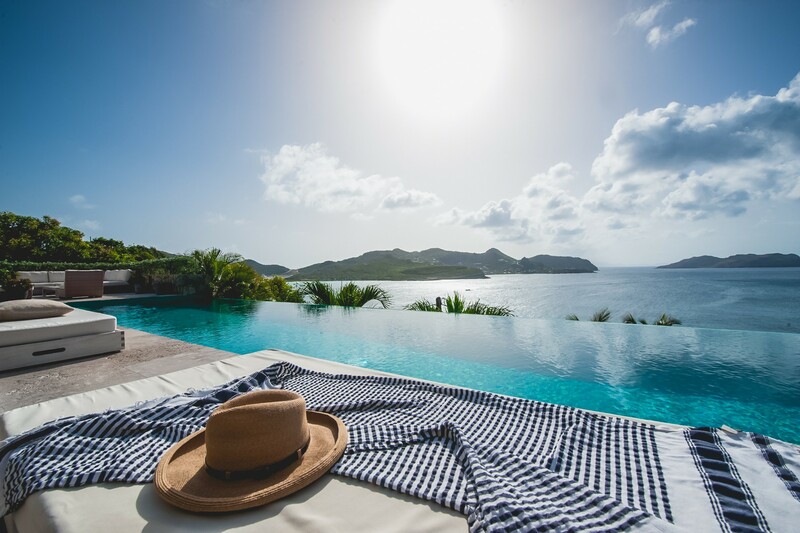 Dive into the infinity edge pool to cool off, and then spend some time stretched out on the comfortable loungers. 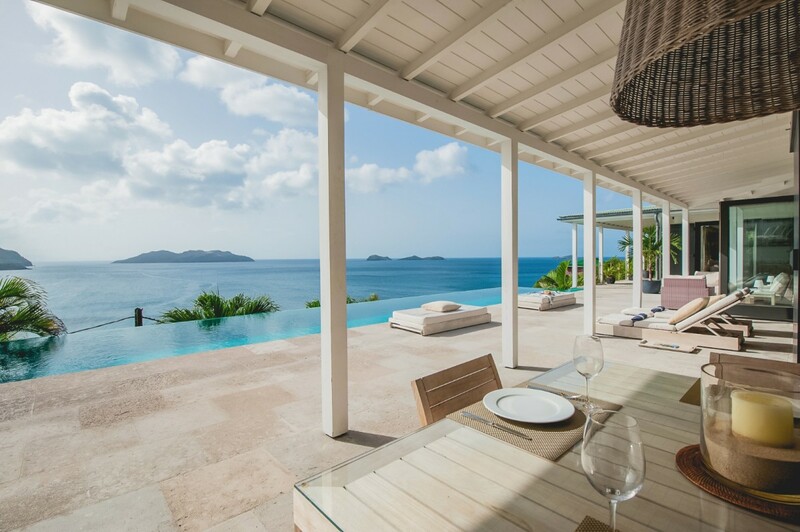 Head beneath the covered portico and you can enjoy a meal or cocktail at the al fresco dining table just steps outside of the great room. 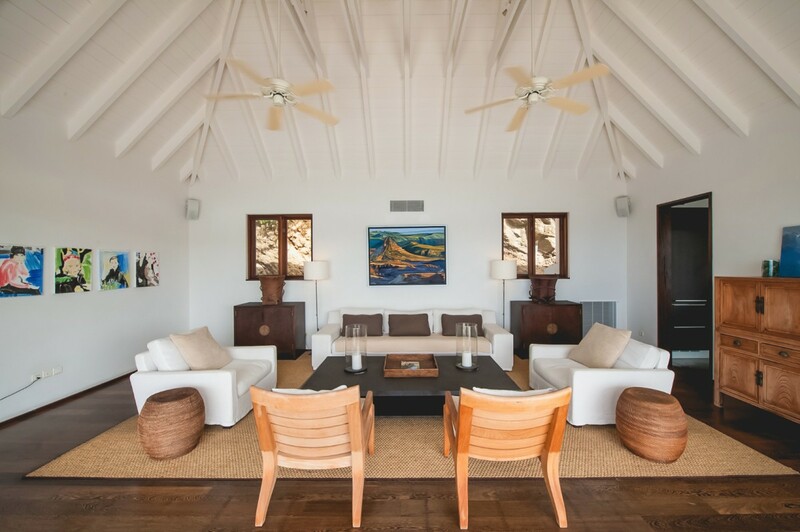 Indoors you will enjoy the open floor plan of the great room that features an enormous gourmet kitchen, which leads to the interior living room or head to the small office and entertainment room beyond. 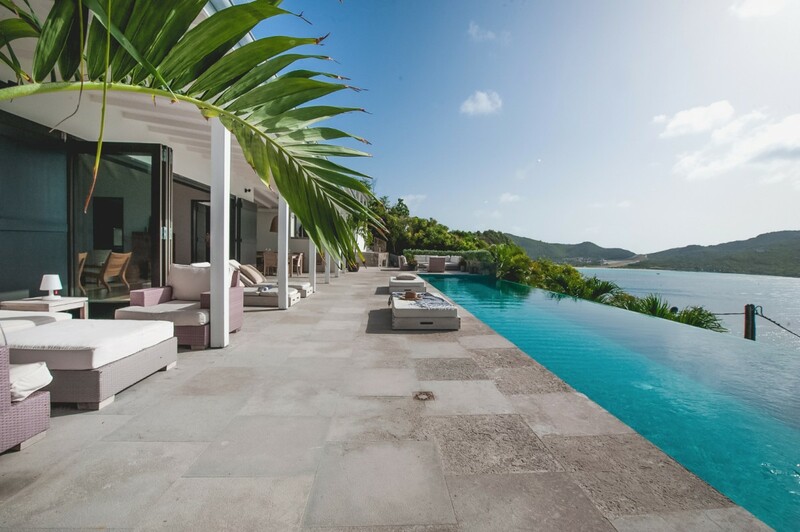 The entire length of the shared space, however, is open to the terrace, and also furnished with a diversity of comfortable loungers as well. 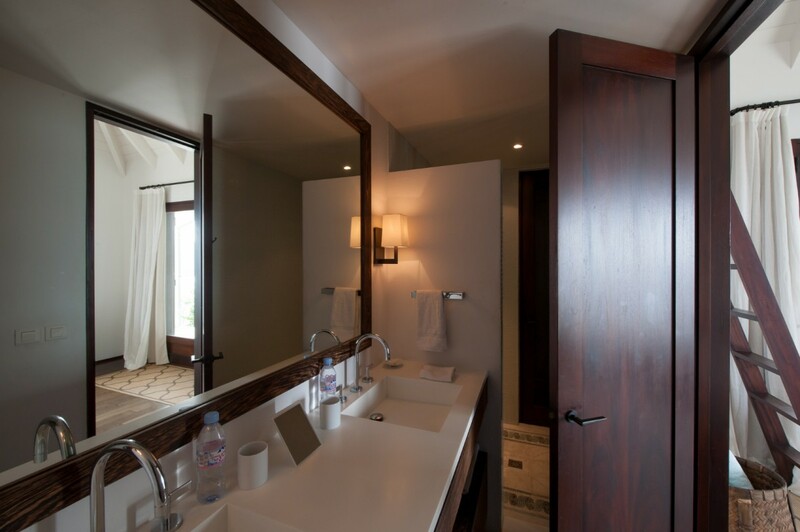 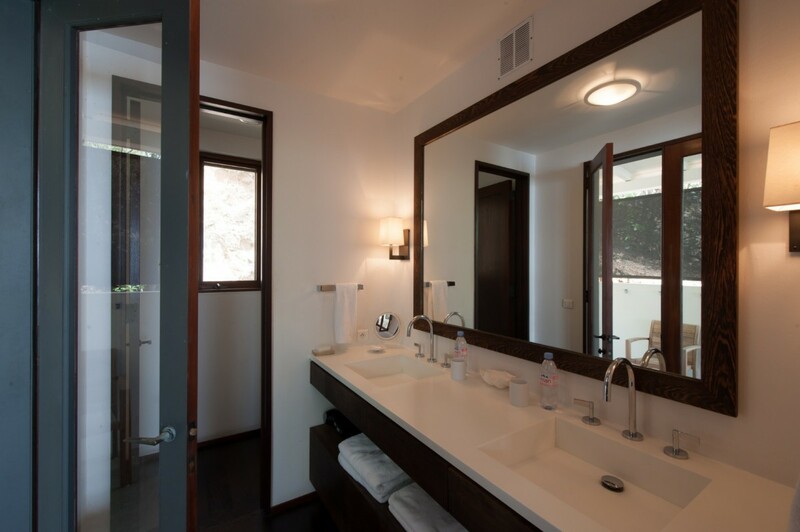 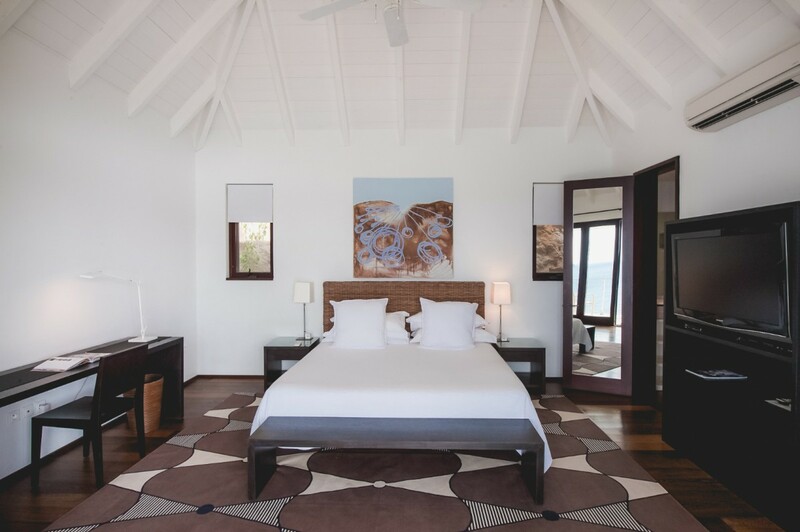 When it is time for bed, there are three large bedrooms in the villa, each with a king sized bed, large en suite bathroom (including one with an outdoor shower), and full array of high end electronics. 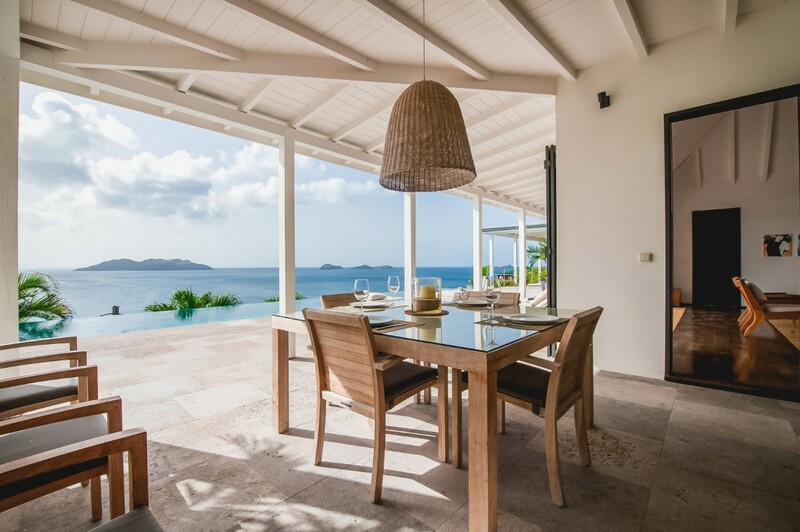 Just a short drive to the popular St. Jean area, and yet a world all to itself, the Villa Ella is the epitome of comfort and charm. 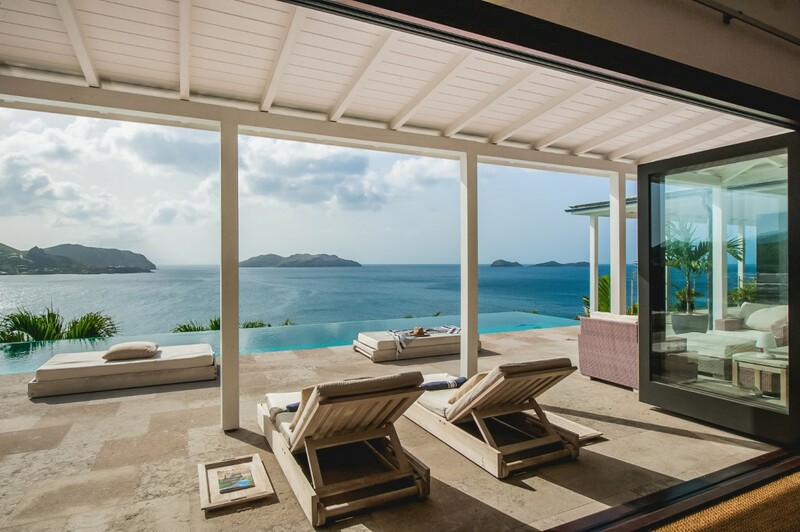 Great for a large family or a group of friends, it offers up one of the most amazing views, a tremendous amount of privacy, and world-class amenities. 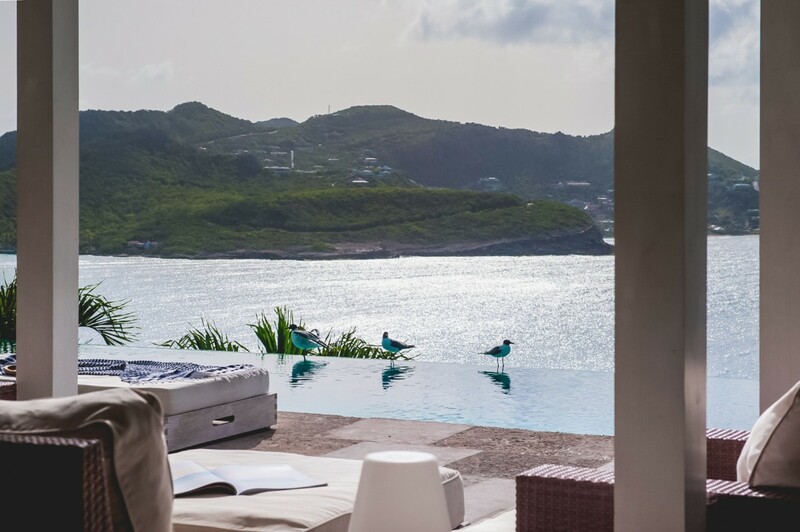 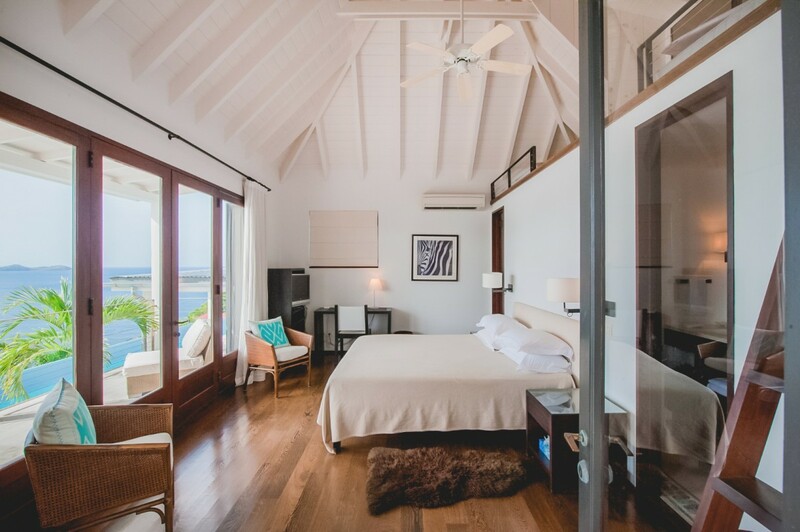 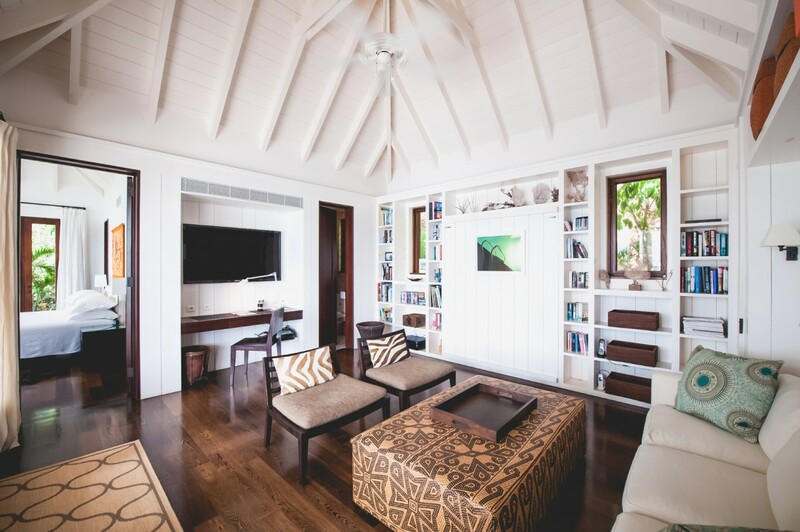 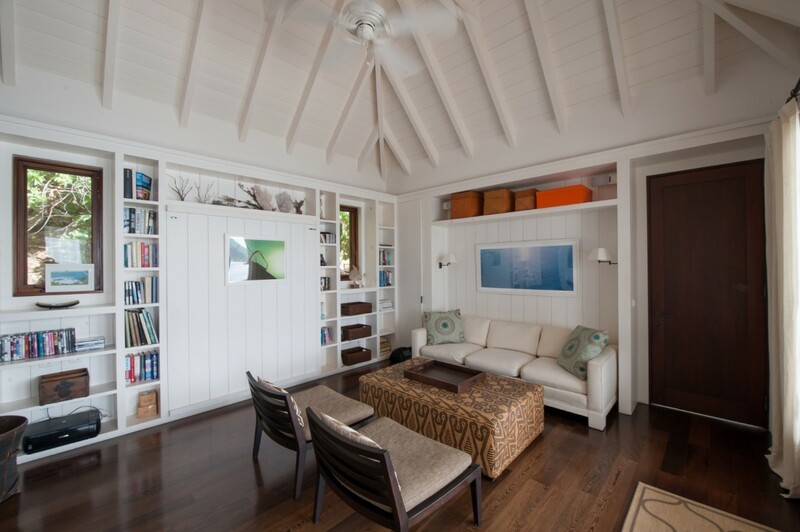 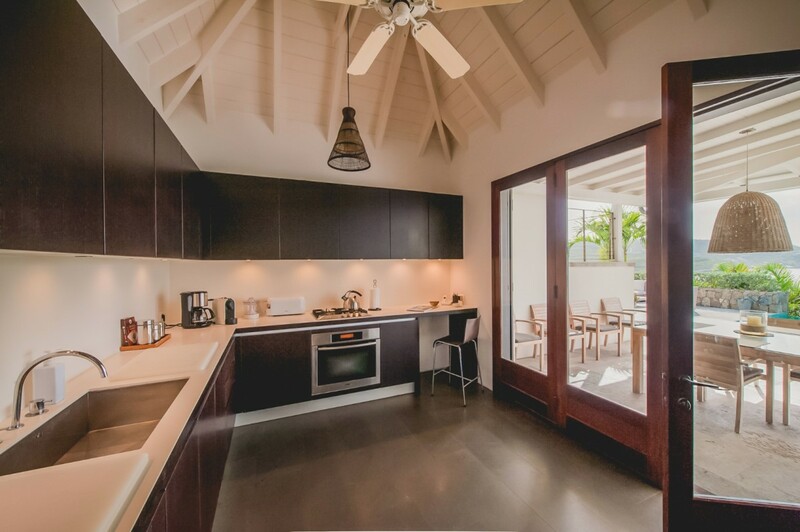 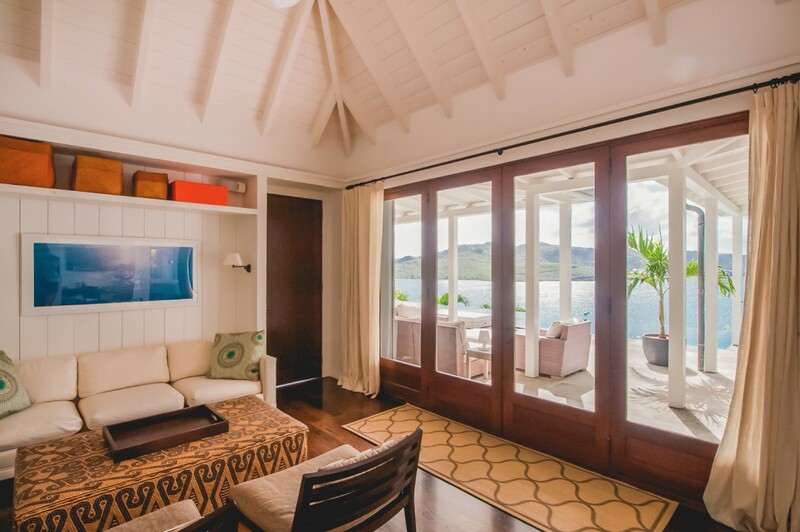 It brings the best of St. Barts to your doorstep, and can be your accommodation and destination in one.